Taxi problems, airport security problems, to cruise ship problems. It was a stressful nightmare rather than a relaxing, calming experience. The biggest problem of all is that Karilyn never set foot on the cruise ship (Adonia). It was to be the ship’s maiden voyage. Of course most maiden voyages go pretty much to plan, with the staff and crew dealing competently with the issues and problems which arise. Some maiden voyages are disasters. The Titanic being one that was epic in scale, tragic in terms of loss of life, and infamous in our collective memory. However, the mishaps experienced with the cruise ship which Karilyn was planning to take does not compare at all with the Titanic’s ill-fated voyage. Nevertheless, every maiden voyage brings with it extra risk as well as opportunity and excitement. In Karilyn’s case, the ship could not sail until certain safety checks overseen by the Coastguard were passed. As this was a maiden voyage, one can imagine that such checks would be extensive and rigorous and… timeconsuming. Based on Karilyn’s account and the limited information provided by the cruise company to its passengers, it would seem that these safety checks were not completed before the planned departure time of the ship, but rather carried on beyond the scheduled departure time. Hours went by, an evening went by, an overnight in a hotel went by, with periodic briefings which didn’t convey much detail other than, “not ready yet. Next update will be at …”. Shouldn’t such checks be started at a date sufficiently far in advance of the ship’s departure time to allow them to be done, issues corrected and retested etc. with an adequate margin of time or buffer for the unexpected. That cancellation of a first voyage was not unique. 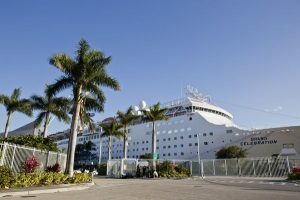 In early 2015 the cruise ship Grand Celebration also had pre-sailing checks cause cancellation of the voyage to the disappointment of nearly 1000 passengers waiting to board. This time the problem was a faulty public address system. The passengers were left waiting for hours in the terminal until finally they were told of the cancellation. The main lesson is that booking a maiden voyage, it would seem, runs the risk of delay and cancellation because of the way such safety checks are conducted. Perhaps the cruise companies could do more to have these tests conducted earlier and keep their passengers appraised of their progress in advance of their gathering in the departure area. 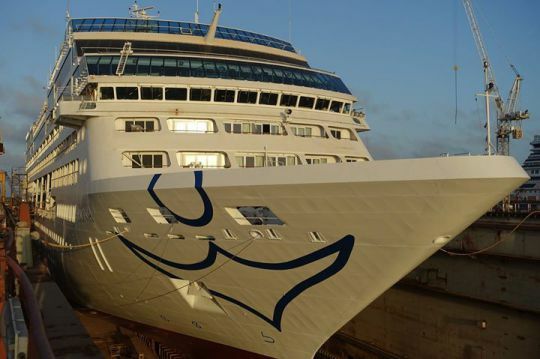 Perhaps passengers themselves could also be more proactive in the weeks leading up to the cruise departure by asking the cruise companies for the status of the safety checks if the voyage is a maiden voyage or if the ship has undergone a refit/refurbishment.